What is the very first thing you think of when you hear the word landscape? Perhaps images of fields, meadows, and forests come to mind. If you think more deeply about this term, you might realize that the landscape unites animate and inanimate nature, and—above all—is the environment for human life. 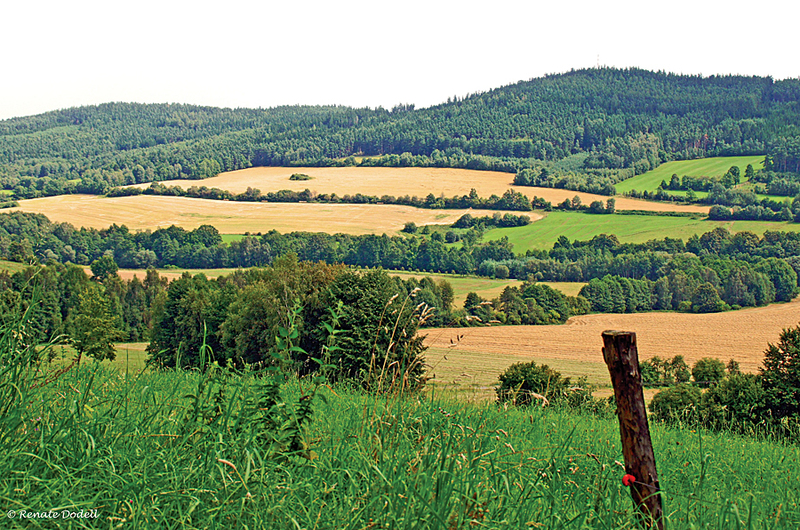 The countryside of Southern Bohemia. Photo courtesy of Renate Dodell/Flickr. Geology, geomorphology, hydrography, meteorology, sociology, demography—these and other scientific disciplines study specific aspects of the landscape. Understanding and describing the landscape are not easy tasks and require contextual awareness and deep knowledge that can’t be portrayed in an ordinary atlas. To create an atlas about the landscape of the Czech Republic required the efforts of 100 institutions and 300 experts. The Czech Republic lies in the middle of Europe, bordered by mountains on three sides. The country includes bare hills, forested highlands, and even warm fertile lowlands where grapes grow well. Although its modern history begins in the 9th century, human habitation for one million years has been documented by stone artifacts and beautiful prehistoric statuettes. People and landscape have been affecting each other for a very long time. To understand the country, it is essential to describe every element that influences the landscape. The broad range of themes addressed requires cooperation beween the best specialists. Government organizations (mostly from the Ministry of the Environment and Ministry of Agriculture), universities, and the Academy of Sciences were involved in the creation of this atlas. All faced the challenge of how to manage this complex project and guarantee that every map would be appropriately designed in the same professional manner. Preparing a methodology for creating maps was the first and a fundamental step. The management team created the topographic basemap used by all map authors. This basemap was produced in two versions: physiographic and socioeconomic. Each version was designed with suppressed symbology and contained only the items needed for visualizing various types of thematic content. These basemaps were created using a geodatabase supplied by ARCDATA PRAHA, s.r.o., the Esri official distributor in the Czech Republic. The team gradually updated this geodatabase with authoritative topographic and administrative content. 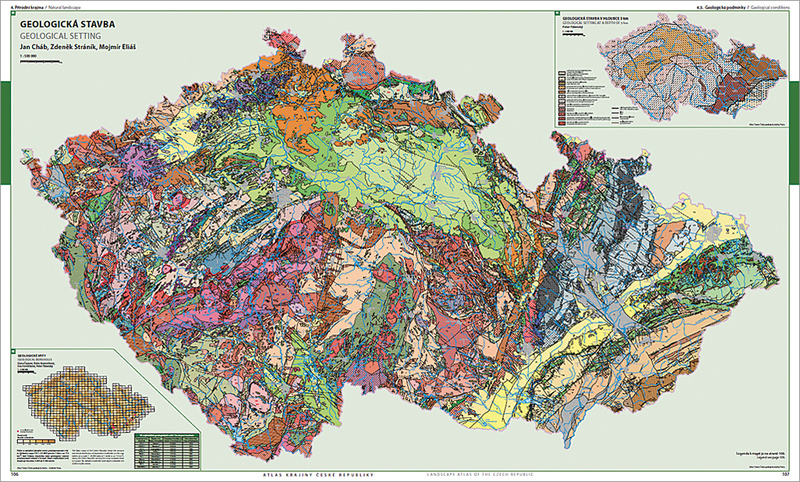 Landscape Atlas of the Czech Republic is a national atlas envisioned as a source of information and knowledge for the central government's policy makers and local governments. Most data management and cartographic processing was done in ArcGIS for Desktop. Databases, spatial data, MXD documents, and Microsoft Excel tables were kept in a structured directory with folders that corresponded to atlas chapters. After peer reviews and revisions, the maps were finalized and exported for prepress. 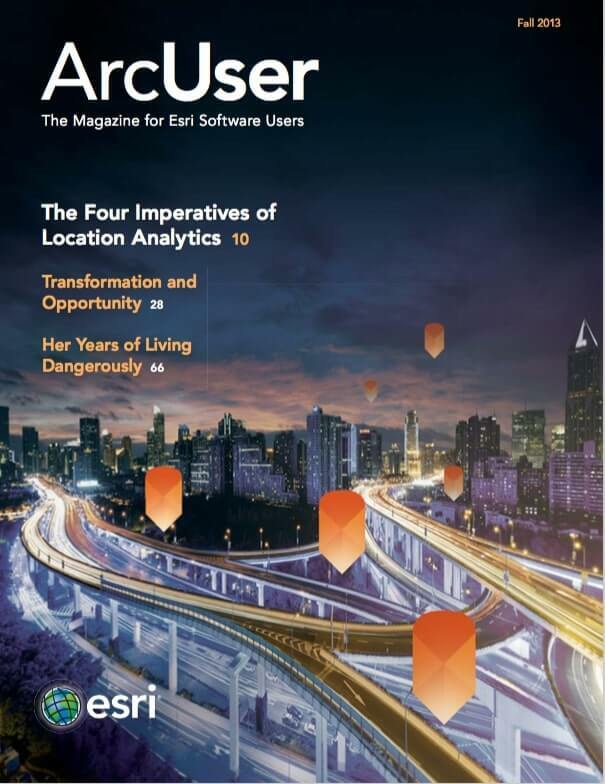 Map authors followed this methodology as they worked with the geodatabase, supplied metadata, designed layouts, and symbolized the 906 thematic maps compiled for the atlas. This ensured consistent style throughout. All the texts and maps are both in the Czech and English languages. The small number of maps that were not included in the atlas were printed in a later issue of Acta Pruhoniciana, a journal for landscape and horticulture. Consistent and unified map design is one of the most important and challenging aspects of producing a large atlas. Readers should not have to decode different cartographic styles—all the maps should speak in one language. Slovak cartographic company ESPRIT, spol. s r.o., Banská Štiavnica made the final edits to the map book. In the final printed atlas, map scales range from 1:500,000 to 1:2,000,000. The Landscape Atlas of the Czech Republicmeasures 51 × 61 centimeters (approximately 20 by 24 inches) with 331 pages, making it among the largest atlases in the world. The goal of the project was to create a national atlas that would serve as a source of information and knowledge not only for the central government’s policy makers but also for local governments, whose decisions directly influence the lives of citizens. Because another goal for the project was to provide complex study material for students at the elementary, high school, and university levels, the atlas was not distributed commercially but is supplied to organizations, schools, and scientific departments for free. The map book has retained a place in this era of information technology by combining the work of hundreds of specialists working on numerous research projects. This way, it became a unique book containing a tremendous amount of information. Besides the provided data, it is also a source of contacts to the participating organizations and map authors. This way, it serves also as a portal that enables the reader to contact the appropriate institution and ask for data. Soon after its publication, the Landscape Atlas of the Czech Republic received the Map of the Year award of the Czech Republic in the category Atlases from Cartographic Society of the Czech Republic (CSCR). This prize is judged by the academic jury from a number of maps and atlases from the whole country each year. At the 25th International Cartography Conference in Paris, France, in 2012, the atlas won the first jury’s prize in the Atlases category. The atlas also was named the Map of the Month for October 2012 by the International Cartographic Association, proving its merit by international standards. The Landscape Atlas of the Czech Republic is published as a PDF on the web pages of the Ministry of the Environment of the Czech Republic website and can be perused and appreciated by anyone. For more information, contact Jan Soucek, jan.soucek@arcdata.cz, or Peter Mackovˆcin, peter.mackovcin@upol.cz.